I have a thing about little-out-of-the-way places where nobody goes. If it takes effort to find it, it's a place I've got to visit. I mean, who wants to visit attractions that everyone has already seen anyway? Last year when I visited Laura Ingalls Wilder's home in Mansfield, Missouri, I saw a sign for Bakersville Village on the same exit. I was intrigued. I hadn't seen it the last time I'd been through the area. After asking family members about it, my curiosity was piqued. Turns out, it's been a working farm since before the Civil War. The present owner started a seed catalog company from his bedroom when he was 17. Now grown, he and his wife have turned part of their farm into a pioneer village and a brick and mortar seed store and populated it with rare heirloom breeds of farm animals. Oh, yeah, it's also in the backside of nowhere, which is a plus in my book when it comes to visiting attractions. Yep, that's a great formula for a memorable experience. Jere Gettle turned his family legacy into a legacy for all of us. When Missouri was first opened up to homesteaders before the Civil War, the Rippee family claimed a scenic patch of land in what would later be Mansfield, Missouri. What's surprising is to me is after 160 years, it's still family owned. The farm is actually the longest-lasting homestead in Missouri. It can be hard to top an awesome legacy like that, but Jere Gettle, the current owner of the farm, has found a way. I'll be honest with you, Jere was an odd child. He planted his first garden when he was three years old and developed a weird affection for seeds in the process. He was so obsessed with seeds, he began collecting them. By the time he was 17 years old, he'd collected enough to print and distribute his own seed catalog. Since then, he's traveled the world collecting heirloom varieties before they were lost to time. Jere's given them a promise of new life by offering them through Baker Creek Seed Company. He wasn't content with just living his dream of preserving seeds and owning his own company, though. Jere wanted to be part of a bigger community of modern homesteaders and farmers, and in 2000 he began holding festivals on the farm to bring everyone together to exchange ideas. Eventually, this led to Jere and his wife, Emilee, to add the pioneer village, which they called Bakersville, to the property. Even though it's been built within the last 10 years, the village feels as if it's been there forever. An herbal apothecary, a dry goods mercantile, a bakery, a blacksmith's shop, and a vegan restaurant are just a few of what I toured during my visit to the old Rippee Farm. More than just antique storefronts, these buildings are actual stores. I wasn't really sure what to expect from Bakersville when I was riding the five miles off the highway to get to it. I mean, I knew there was a seed store, but that was about it. When we finally pulled into the farm, I was shocked to find an entire town. To me, it looked as if the whole town had plopped right out of the 1880's. Being from Florida, I'm used to fake. I mean, we're the masters of fake. We have a fake Jaws, a fake mouse, fake countries at Epcot. Take a stroll on the beach, and you're bound to see some fake body parts, too. Needless to say, I was a bit skeptical as I was walking up to the buildings. I was expecting another old west façade with flashy modern insides and overpriced souvenirs. I'm glad to say that I was wrong. With the exception of electricity and indoor plumbing, inside and out, the town is a bona fide pioneer village. At Bakersville you can see more than just old shops, you get to see local culture, too. The Mansfield area has a large Amish and Mennonite community, and they are frequent shoppers at the village. They're also one of the main contributors of handmade goods at the village, such as the handmade clothing at Harriet's Mercantile. In addition to clothing, there were handmade brooms, candles, toys, soaps, and a whole lot more. My favorite things were the old fashioned toys and penny candy. I had a difficult time, though, explaining to my son how you'd play a game of marbles or dominoes. Apparently, once you go to Xbox's and TV's, there's no turning back. Clothing, fabrics, candles, and a whole heck of a lot more. Plan your Ozarks road trip! In your travels across the Ozarks, be sure to stop at Henson's. Located in Champion Missouri, near Ava, Henson's General Store is truly a step back in time. The perfect place to buy your organic, non-GMO herbs. I've always had an interest in herbs and how they can be used as medicine. I think that's why the apothecary was one of my favorite shops. It's laid out about the same way as the mercantile, the only difference is the walls are lined with labeled mason jars filled with just about every herb you can imagine. 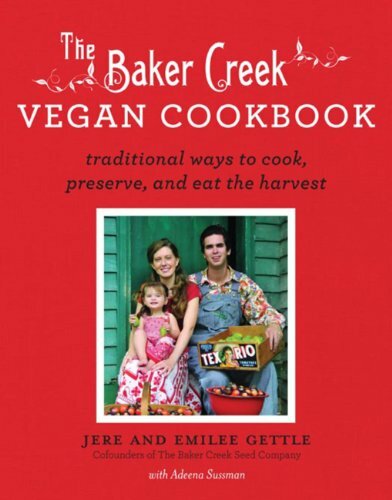 I learned that nearly all of the herbs Bakersville sell are grown in the surrounding area. I like the fact that you know where the herbs came from. So many times things are labeled organic and pesticide free, but you can't always be 100 percent sure. You're basically on the honor system at Bakersville. At the apothecary, there were bags and a scale so you could pour and weigh what herbs you wanted. The other shops were pretty much self-serve, too. To pay for whatever you were buying, you had to take it to the seed store. It would have been nice to be able to ask someone knowledgeable about any herbs I wasn't familiar with, but other than that I had no complaint about the herb store. Oh, my gosh, the cinnamon rolls! In my past life before I went gluten free, this shop would have been my downfall because I was a bread/sweets fiend. I'm not ashamed to tell you though, the smell was heavenly and it was hard being good. There were fresh cinnamon rolls still steaming on the counter. There were giant cookies with M&M's smiling at me. And the pecan sticky buns. Oh, the buns! I was tempted, and the price didn't help either, because everything was only $2 a piece. I've never been to a vegan restaurant, but the food was surprisingly good. The restaurant at the village is only open on Fridays, so I made it a point to come on a Friday afternoon just so I could try out the restaurant. What I didn't know before I got there was it's a vegan restaurant. I'm not afraid to tell you that the special of the day, barley burgers, kind of threw me. I liked the concept of the restaurant. There's only one meal choice, and there's no charge. They operate by donations only. Never eaten vegan either? I always wondered what they ate. It wasn't bad. Besides, vacations are about new experiences anyway. Think of it as a gardener's dream store. As much as I'd like to be a gardener, I'm not. Any garden left in my care is basically on death row. That doesn't stop me from having big plans, though. Picking out which seeds I want to plant gets me about as excited as shopping for new clothes. This time, though, I had mercy. I bought seeds for a gardener friend of mine with whom plants can live a long, bountiful life. The picture to the right shows only a fraction of the seeds available. There were plant varieties I had never even seen, let alone heard of. I had no idea vegetables came in so many different colors. There were black tomatoes, white tomatoes, and purple cauliflower, broccoli, and pole beans. 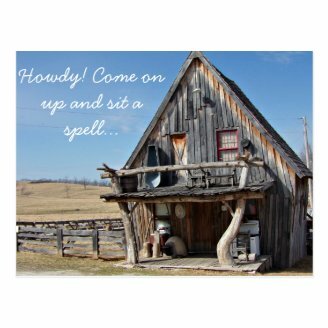 Not only are there seeds for sale, there's many handcrafted items made by the local Amish. I bought another lucky friend a genuine Amish yo-yo. See What Else You're Missing at Bakersville Farm and Seed Company! Is it Worth the Extra Effort to Find? 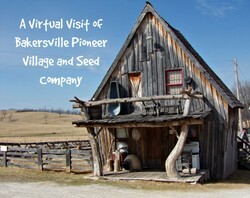 Looking at the seed store and village, it's hard to believe that Baker Creek began as a child's fascination with seeds. It really proves the point that parents should encourage their children in whatever they're interested in, even if it is off the wall. Jere has a love for what he does, and it shows throughout the whole farm. He has to have a true passion for seeds and the farming community, otherwise he would be charging admission to Bakersville and for the food at the restaurant. Unlike Laura Ingalls Wilder's home a few miles away, Bakersville is not a museum. It's a working farm and seed store that is always bustling with activity. Whether your passion is gardening or history or you want to see something unique and off the beaten path, Bakersville Farm and Seed Company is a must-see attraction when you're in the Branson area. It's the company that fueled Jere Gettle's passion for heirloom seeds. Bakersville is located about 90 minutes east of Branson. The village and store are closed on Saturdays, and admission is free all but two days in May during their Spring Planting Festival. Looking for lunch? Be sure to come on a Friday. 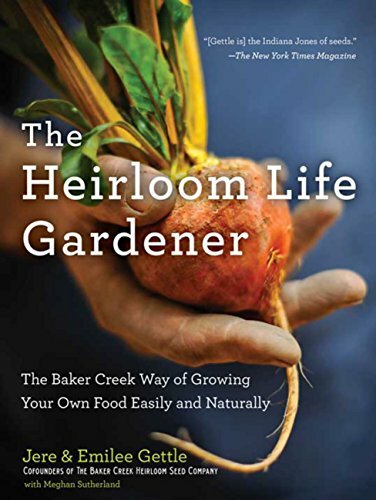 I"ve been reading more about heirloom seeds lately. Thankfully, there are people all around the world saving these seeds. We'd be in trouble without these seed savers. Really enjoyed reading this and all your pictures. Thank you Nelda! I'm glad you took the time to read it. It's really a nice place to go. I feel like I've just been on vacation after reading your post. If I ever get to Missouri, it's on the list of place to go. @mira, thank you! It really was a lot of fun. This place looks great. Wish I was going to Missouri. Wow, this couple really got something going there. It sounds like a great place to visit :) I'm glad you took the time to present the place and show us the photos.